Africa | South Africa Travel | South Africa Vacation Packages | Africa Tours | South Africa Tour | Gate 1 Travel - More of the World For Less! Watch Our South Africa Video! 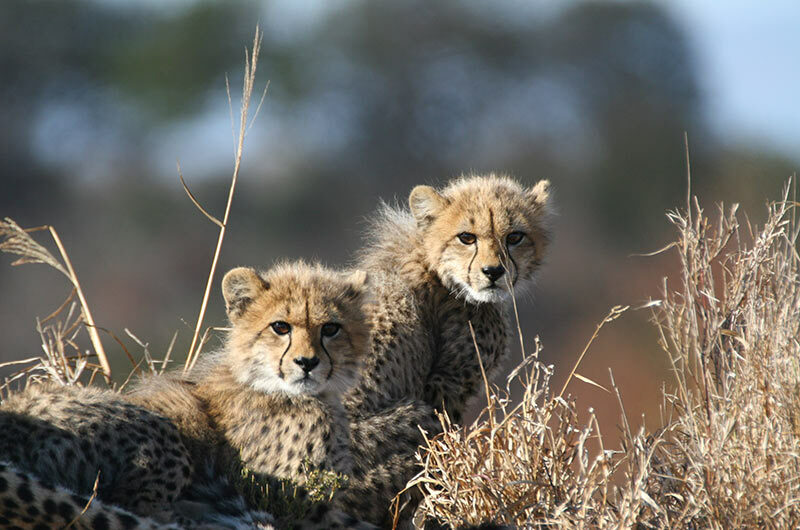 8 Day Essential South Africa Book By Sep 26, 2019 & Save! 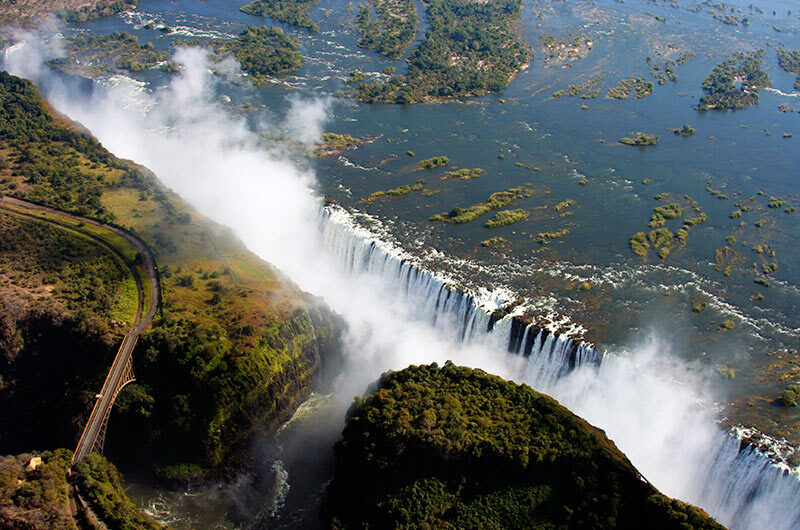 11 Day Essential South Africa with Victoria Falls Book By Sep 26, 2019 & Save! 12 Day Classic South Africa Book By Sep 26, 2019 & Save! 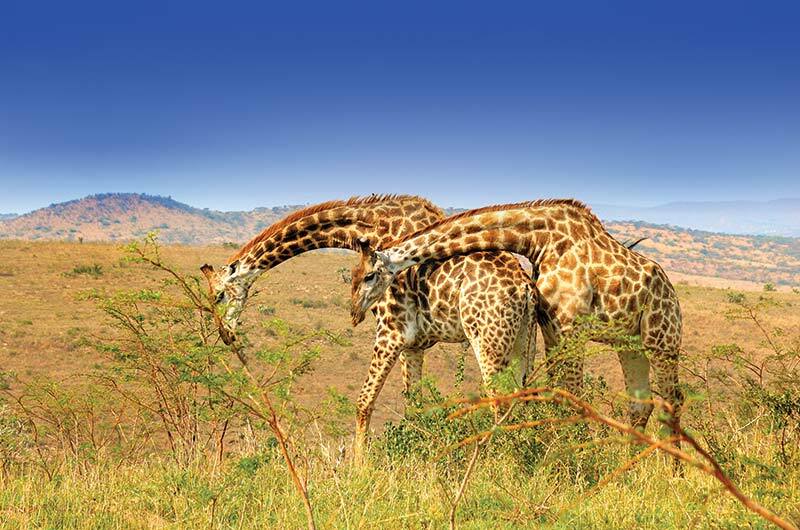 13 Day Deluxe South Africa with Victoria Falls & Chobe River Safari Book By Sep 26, 2019 & Save! 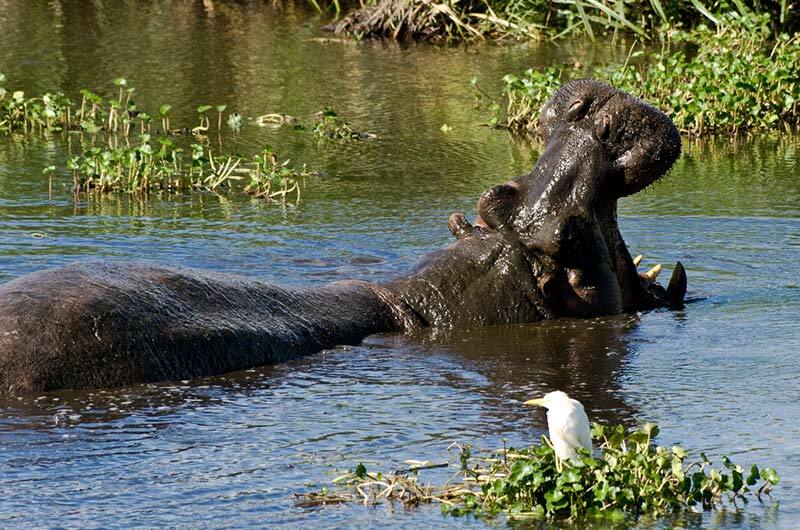 14 Day Classic South Africa with Victoria Falls Book By Sep 26, 2019 & Save! 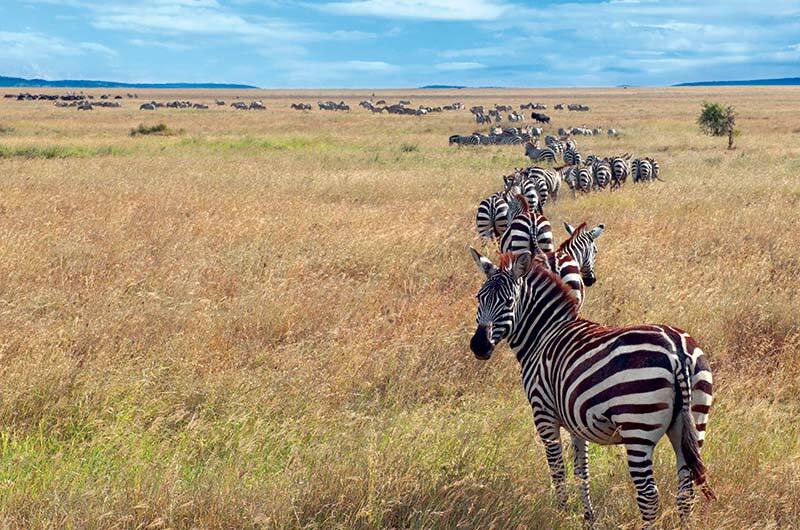 16 Day Classic South Africa with Victoria Falls & Botswana Book By Sep 26, 2019 & Save! My trip to South Africa was amazing! I am thankful to Gate 1 for making it such a memorable trip. The flights, hotels, and food were wonderful and I was very satisfied with all the accommodations. The itinerary gave me a very in depth look at South African history, the people and their way of life. Our tour guide Dexter was wonderful, knowledgeable, attentive and very kind. Our two bus drivers, February and Elvis were wonderful and made us feel very safe. The safaris were amazing! It was a once in a lifetime opportunity for me and I am happy I did it with Gate 1. I will definitely continue to travel with Gate 1 and recommend it highly to my family and friends. Our trip was absolutely wonderful! We only have good things to say about the entire trip! Our tour guide, Peter, was amazing. Extremely knowledgeable about the countries, cultures, wildlife, etc. he was also very organized and related well to everyone in the diverse group. Thanks to Gate 1 for an awesome vacation! We have a fantastic time, it really was a great holiday. Roger was a very able tour guide, charming, very informative & a likable bloke. The tour was good and full of highlights, the best being the safaris of course. We saw the big 5 so that was a big deal for us, plus so many animals and birds - truly amazing experiences. Also, the hotels were a surprise, not sure what we were expecting, but these were much better than that. So top marks Gate 1. Above all, well done. We greatly enjoyed our trip to South Africa. Cape Town has such amazing beauty in its scenery and on the safari we had great opportunity to see wildlife up close. Thank you Gate 1! Our trip was amazing! I was skeptical of getting along with everyone in such a large group but it was a wonderful experience. Our guide Shai was amazing and very thoughtful. I will book another vacation through Gate 1 in the future. Thank you so much for the great experience. Incredible doesn’t begin to describe it! From the moment we were met at the airport until the moment we left it just kept getting better. The accommodations were outstanding. The highlight though of course were the game drives. All of our drivers were so extremely knowledgeable which allowed us to track and see all of the Big 5. Don was our tour manager and he just made everything seem so effortless although I know there was a lot of coordination going on in the background. It won’t be our last visit to Africa or our last trip with Gate 1....thanks for the trip of a lifetime! Our trip was Fantastic! Beautiful, eye-opening, and Wonderful! We saw and learned so much! Shawn was extremely aware and responsive to everyone's questions and desires. He is the Best! The scenery, animals, history - both past and present, food, culture, land use, Everything was Awesome! Thank You for a lifetime trip. We want to return in the future - so much to see, learn and experience. I have to say this was truly the trip of a lifetime...and that's coming from an experienced, life-long traveler. Gate 1 Travel does it right - accommodations were impeccable, beautifully located, and well appointed. Colleen Webster, our guide, was exceptional. She put her heart and soul into making sure everyone was well cared for and had a memorable trip. She went above and beyond for me and the others. This trip was seamless and I will never forget one single minute of it. Thank you! What a fabulous trip, such a great place to visit and our tour guide Adele made it even so much better, very knowledgeable and friendly, she was special, no hesitation on recommending Gate 1 Travel! The trip itself was TERRIFIC!! I'm not certain if all your guides in Africa are as knowledgeable as Jason Mair, but his command of the tour group and his knowledge ... When it came to the animals, he certainly knew his business and was able to assist us in getting the best photos because he knew, instinctively, what the animal's reaction was going to be in each situation. Our trip was absolutely great. There was nothing for us to worry about. The organisational skills of the Tour Guide was exceptional. We enjoyed the trip so much that we have been actively promoting Gate1 as a travel agent. Now a word about our tour guide Stuart McMillan. Stuart is by far the best tour guide that we have ever had and I say that since my wife and I have travelled extensively since 2001... He was extremely friendly, knew his stuff, compassionate, thoughtful and above all just a great guy ... We wish we meet up with him again on future Gate1 trips. Great one Gate1, keep up the good work. Our group will definitely be back and we are currently looking at a trip to see more wildlife in Africa through your organisation in 2020. Fantastic great group and travel guide, thanks for your great service Lyn and your help with bookings for my plane with good seats. Excellent accomodidation in top hotels, loved it. PHENOMENAL! The sights, the animals, and the people. Africa was everything we expected and more. Even the weather cooperated; much more moderate than the historical weather data predicted. If it weren't for the distance and the long, LONG, L-O-N-G plane rides, we'd love to go back. My Gate1 tour to South Africa, Swaziland, Zimbabwe, and Botswana was fabulous!! The tours, food, hotel rooms, our guide Jason Muir, and all the amazing wildlife we saw were all wonderful. It certainly cost more than my other 12 Gate1 tours, but it was worth the cost. I would recommend it to anyone. I forgot to mention that the local people of all the countries were very helpful, friendly, and very SMILEY!! We loved, loved, loved our trip. Our Gate 1 tour guide Tesse is a gem! As it was our first time in South Africa, it was far more than we expected! The tour group that we were assigned to were just fabulous people. We just meshed as a team! The Cape Town and Johannesberg bus drivers and our Mabula game driver George were knowledgeable, patient, and safe drivers!...I will tell my friends and family about our experiences and your wonderful service! We had a fantastic time! Everything was great....our tour guide Dexter, the hotels, the food, the game drives and the add on winery tour and cape peninsula tour. Very nice! I enjoyed it very much! Our Tour guide John was excellent! He gave us excellent information about South Africa like history and things to watch out for. Will go again on Gate 1 Travel. It was a trip not to forget. Many diversified sights and experiences. But also would need to be physically fit and ready for the hectic schedules. We met many like-minded and very friendly fellow travellers. Highly recommend this South African experience. We thoroughly enjoyed the trip. We had good weather except for rain on the last day, and Colleen our tour guide did an excellent job...Everyone we met in South Africa was friendly and helpful. We thoroughly enjoyed all the scenic tours as well as the great white shark cage diving. The only challenge in the tour was the long flights to get there, but we knew that up front...I would recommend this well planned tour to anyone. As my husband said: “The best trip ever!” It was number 1 on my Bucket List and I was not disappointed. Can’t say enough about it. The accommodations were beautiful and Peter, our guide, was excellent. Thank you, thank you, thank you!!! It was absolutely fabulous! It was our first Gate 1 Tour, and we loved it! Jason, our tour guide, was A +! He was very concerned that all was good: our well being was his top priority! His knowledge about all aspects of South Africa was incredible! Gate 1 had everything top-notch organized and first rate! We had traveled internationally before, but this was THE BEST! We had a wonderful time in South Africa. Judi and I were very pleased with the hotel accommodations along the way. The schedule was very good and allowed us to see and learn so much more than we ever could on our own. Jason, our very knowledgeable Gate 1 tour guide, did an outstanding job, paying attention to our daily needs and making sure that we got the most out of every stop along the way. 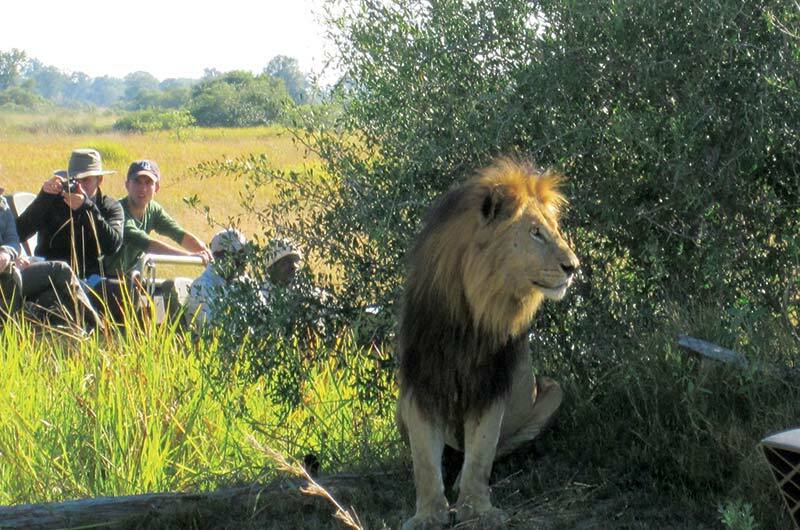 Our day in Kruger National Park is the most memorable of the many pleasant experiences that we had on our tour. Now I just need to sift through all my photos. With hundreds of good shots, this may take a little time...thank you Gate 1. Our trip with Gate1 was fabulous. Everything from the administrative details, the tour itinerary and transportation/accommodation provided was first rate. In particular, our South African tour guide, Dexter, was excellent. Thanks for a great trip. Thank you for helping us to travel in S. Africa. It was Fantastic and tour director, Ahmet, was so much knowledgeable with so good organizing manner. Also, from now on, I will use Gate 1 travel in the future. Our trip was fabulous. Everything went well, very well coordinated by the tour guide and particularly enjoyed all of the safaris. A wonderful experience. This was a dream come true trip. I was very impressed with the organization and our guide, Johnathan, was perfect. I would recommend Gate 1 to anyone. It was amazing! Our guide was fantastic! Trip and memories of a lifetime for sure! This trip was exceptionally well organized; we received everything promised; the hotels and food were excellent; and I can't say enough about our guide Charl - He was super - a fountain of knowledge. He looked after all clients very well while keeping us on track throughout the tour - making sure that all facets of the tour went off without a hitch. The game drives were marvelous - got to see many examples of each of the big five as well as many other beautiful African animals. Learning about the changes that have taken place in South Africa over the past 20 or so years was a real learning experience - certainly an eye opener...Having said this I would highly recommend this tour - and Gate 1. Once again, we had a great time with the Gate 1 tour. The South Africa tour had a variety of historic, adventurous, and cultural experiences. We had 39 people in our group, but everyone was on time and very compatible. It was a good group of travelers. Amazing! South Africa is a beautiful, interesting country. The places, hotels and wildlife were awesome. However, most of all it was Heidi, our tour manager, who made the journey EXCEPTIONAL! What a fantastic trip. South Africa was beautiful and the food was exceptional. Our hotel rooms were awesome especially in Cape Town and Johannesburg. What a fun time we had on our safari. Our tour guide Jason was knowledgeable and personable. Jason made sure things went as smooth as possible. This was my 10th trip with Gate1 and will not be my last. Our trip was great. Our guide, Laurence Marks was exceptional. I would recommend this tour to anyone. Perfect blend of experiences. Good value for the money. Trip was wonderful. Our tour guide, Stuart McMillan, was available whenever we needed him to be available. He took care of our every need. He also is very well versed in the history and background of South Africa among other things. He answered every question that was asked in great detail. It was a little fast paced, but I understand because it was a short trip we had a lot to cover to make it worthwhile. I will definitely be interested in another Gate1 tour. Our Africa trip was fantastic!!! The animals were amazing, the sights spectacular, the hotels excellent, the food delicious & our guide (Henk Prinsloo) was truly top notch! Nicely done, Gate1Travel! The trip was extraordinary. I could not possibly have had a better experience. 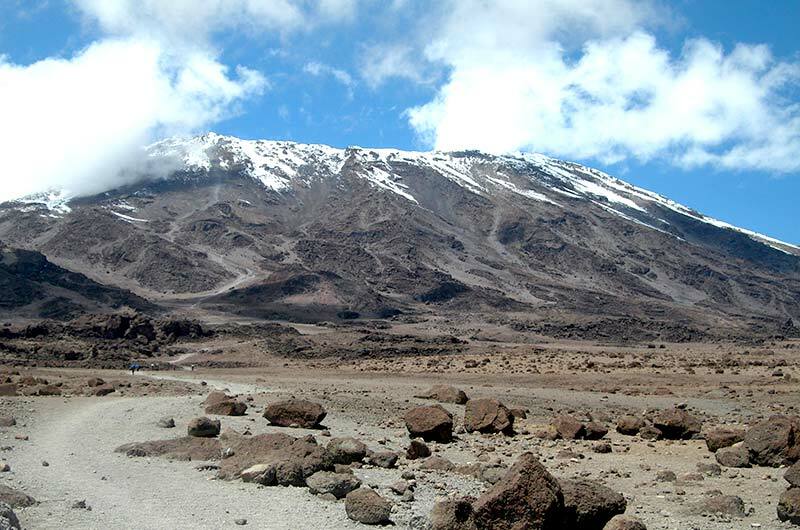 The flights, weather, guides, our group were all great and I saw many things I never imagined being able to experience and got quite an education as well. The 14 days passed very quickly because so much was packed into the time due to the excellent time management by our guide. Each step on guide was very well informed and able to communicate clearly. I cannot imagine having a better trip than this one. It was spectacular. I truly enjoyed the experience. Everything from the point of reservation, right down to traveling back home, was excellently done by you and the company. Thank you so much and I will definitely use Gate 1 for future international travel and tours. We had a terrific trip. Very well organized and paced, which we have come to expect of Gate 1. Botswana, particularly the Okavanga Delta was a real highlight. We may be back for Namibia. We had a great time, everything went very well. We were especially impressed by the excellent tour leader Charl who was most knowledgable, efficient, courteous and did everything possible and more to ensure that all went smoothly. He handled the difficult job of organising forty people with great professionalism. Thanks for booking this trip for us. We shall certainly look first at Gate 1 options when we next travel. The trip to Kenya was absolutely fabulous. It was a dream come true and I owe it all to Gate 1. Never having stepped out of my country before I was scared how things would pan out but you guys made it effortless and I felt so taken care of. I am looking forward to a whole lot of places with you. I have been recommending you to my friends in India because not many people know about Gate 1 out here. Keep up the good work. Thank you so much for the wonderful experience. Expectations exceeded! The Gate 1 experience, our first organized tour, was amazing. Communication was great, no surprises and flexibility to explore the beautiful city of Cape Town and surrounding peninsula in a way that made up feel safe and experience the things we wanted to experience. 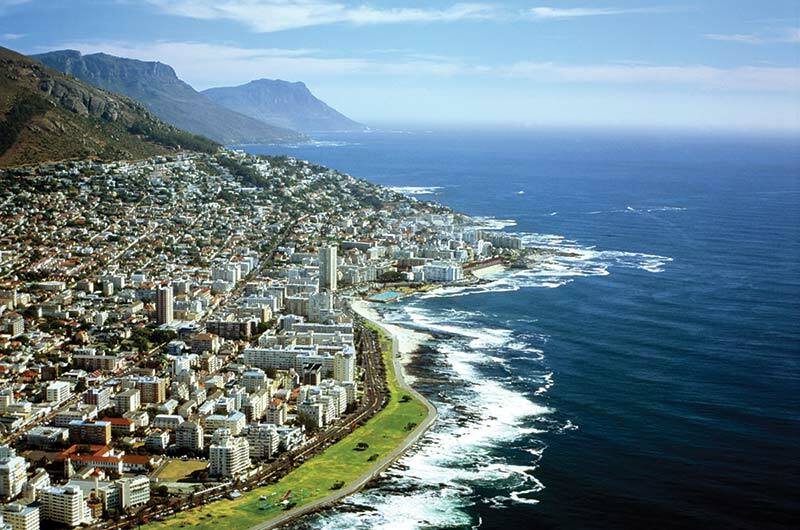 Cape Town and the surrounding area was beautiful. Our Tour coordinator Dexter made it all the better by sharing historic insights and local perspective of the culture. He never left us wondering what we were doing or where we needed to be. A class act all around. 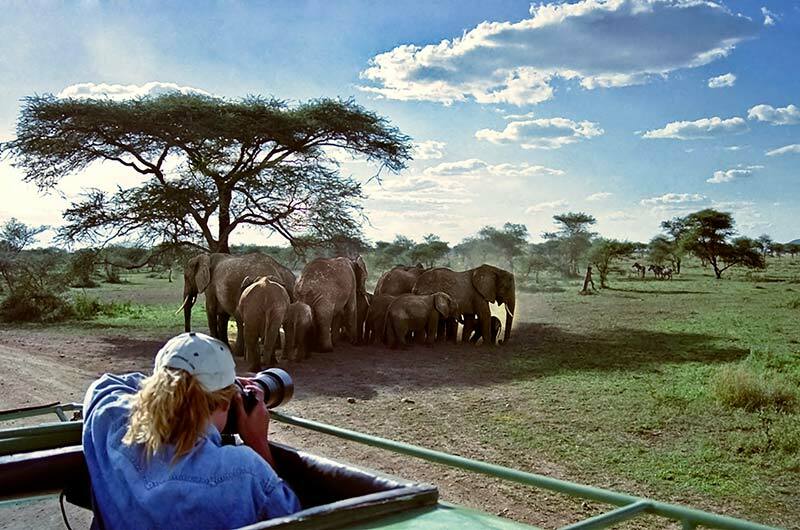 At the Mabula Game, not only did we get up close and personal with the "Big Five" and the "Ugly Five", Our Safari Guide Tristin gave us a deeper appreciation for what is being done to protect and preserve these beautiful animals. Tristin shared his knowledge and experience and showed tremendous respect for the animals while positioning us for the best possible pictures. With his help we experienced the sounds, sights and smells of the African bush. All with the best of humor and often capped off with a Sunset over the mountains and a glass of wine. 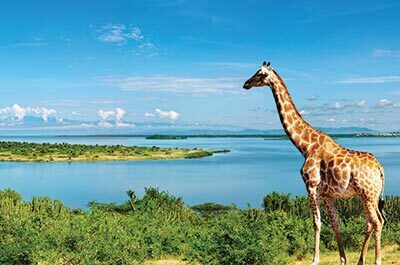 I would recommend this trip to anyone with the slightest interest in visiting Africa. The trip was awesome! Hotel accommodations were top notch, the itinerary covered every aspect of South Africa's history, flora, fauna, topography, attractions and so much more. Our tour guide, Colleen, was organized, knowledgeable on so many subjects, congenial and passionate about her country. Bus transportation was excellent. Food was good and plentiful. Safaris (3) were superb, except the 3rd day when it rained! All flights were fine! We would definitely consider Gate 1 Travel for another vacation! It was amazing. I can't thank Gate 1 and Stuart, our guide for the trip enough. It was a once in a lifetime experience and having a knowledgeable guide made it all the better. Thank you! What a wonderful trip! It all started in Cape Town a world class city. We were treated to a penguin habitat that amused and amazed.The Cape of Good Hope, Table Mountain,the Waterfront were unforgettable, Our tour manager Jason was EXCELLENT. He regaled us with the history of South Africa, offered us treats and drinks that represented his country. He made sure we were comfortable and was pleasant, personal and professional. The safaris in spite of the cold weather did not dissapoint. The lunch stop in Swaziland with an interesting commentary and cultural performance was memorable. All accomodations and food were above reproach. The fellow travelers got along well which made the journey more special. Johannesburg was interesting and we even took Uber during our free time which gave us the opportunity to connect with the locals. In spite of the long hours of travel getting to know South Africa was very worth it! Amazing, as usual! Christopher, Raphael, and Joel were great tour guides, giving us clear communication on our itinerary each day and all three are excellent safari guides who went out of their way to ensure we saw as many animals from safe, but spectacular vantage points as possible in 3 days. The two safari lodges were beyond our expectations in regards to location and amenities, and the hotel in Nairobi had great superior rooms (the hotel upgraded us for our last night). We just love that when we take a Gate 1 trip we don't have to do a thing except learn and enjoy (and get our luggage out on time!). We did think we were crazy for traveling so far for only 4 days, but so much was packed into that trip that we didn't feel like we missed out on anything! Looking forward to our Discovery trip to Morocco in February 2018! It was fantastic! We saw every animal possible and our guides were great. I was very very happy with Gate 1! This was our first Gate 1 trip and it was memorable and very enjoyable. This lovely experience was in large part due to our superb tour manager Johnathan. He went above and beyond to make us feel welcomed and was extremely knowledgeable with a good sense of humor. The trip allowed us exposure not only to the amazing beauty and wildlife of the countries we visited but also the culture of the people. We look forward to our next Gate 1 experience. Just letting you know we had a great trip to South Africa and the extension to Victoria Falls. So a big thank you, to you Maria for getting us on our requested tour date. Your Tour Guides are also worth a special mention. A huge thank you to the Gate 1 tour manager on our trip, Colleen. She looked after our large group very efficiently and was very knowledgeable on a huge range of topics. Colleen was so good about repeating departure times and procedures, and nothing was too much trouble for her. Our tour went like clockwork and there were no nasty surprises. accommodation and the food were of a good standard. The local guides and coach drives were polite and helpful and well trained. Even though we were the only Australians amongst our fellow USA tour group we had a super bunch of fellow travellers and a good mix of ages as well. So we learnt about " the states" as well. Also interesting was that a large percentage of the people had been on tours with Gate 1 before, and one couple it was their 7th tour with Gate 1. That is pretty impressive. We would gladly go on another Gate 1 tour. It was exceptional. We enjoyed all of the beautiful and exciting sites throughout the trip. Our tour guide Reneir was great and all of the people who were part of the trip were exceptional. Gate 1 is truly a great company. Thank you for your assistance and support along the way. My trip to South Africa was fabulous. Beautiful country, good food, good wine, great accommodation and a really good bunch of fellow travellers. The trip was extremely well organised. As a single woman travelling alone, this trip, and Peters' tour leading, enabled me to feel safe and secure and has resulted in a new friendship group.